You know something is amiss when you realise you’re getting more wound up reading the ramblings of club legend Peter Lorimer, than you generally do listening to Bates explain his latest plan to lighten your pockets and invest the money in some pointless executive project you’re never likely to step foot in. The thing is, I expect Ken Bates to try and shaft me in every way possible. I knew when he first took over the years that followed would test my resolve like nothing before. He had past precedent, we spent two decades laughing on from afar as Chelsea fans tore their hair out. But Peter Lorimer is a club legend, someone I respect and admire – well, at least I used to anyway. Nowadays, Peter Lorimer is simply an extension of Ken Bates. One can only assume the statements he gives to the press are similar to the questions Ben Fry asks our beloved chairman in his weekly radio address – scripted by Bates. How else can you explain two individuals so in sync with one anothers inner thoughts that they manage to say exactly the same things as each other, all the time? Supposedly random questions are answered with such assurance, such intent that they must be preconceived. Take yourself back to the 1st of June when Bradley Johnson and Neil Kilkenny had just left on free transfers because Leeds United couldn’t meet their wage demands. As the fans complained about the wage structure at the club causing another two Jermaine Beckford sagas, the clubs response was the usual “won’t be held to ransom” line. “I don’t think anyone could have tried any harder to keep the players (Johnson and Kilkenny) than we’ve done. I think our players are very well paid and there won’t be many more in this league who pay more than we do for our players. Whilst Bradley Johnson ended up with Premier League Norwich City, Neil Kilkenny signed a two and a half year with Bristol City – neither a Premier League team or one with parachute payments, but one that finished 15th in the Championship in 2010/11. Leeds’ wage structure was the suspected cause of our failure to secure Keith Andrews services too with the midfielder later signing for the mighty Ipswich Town. 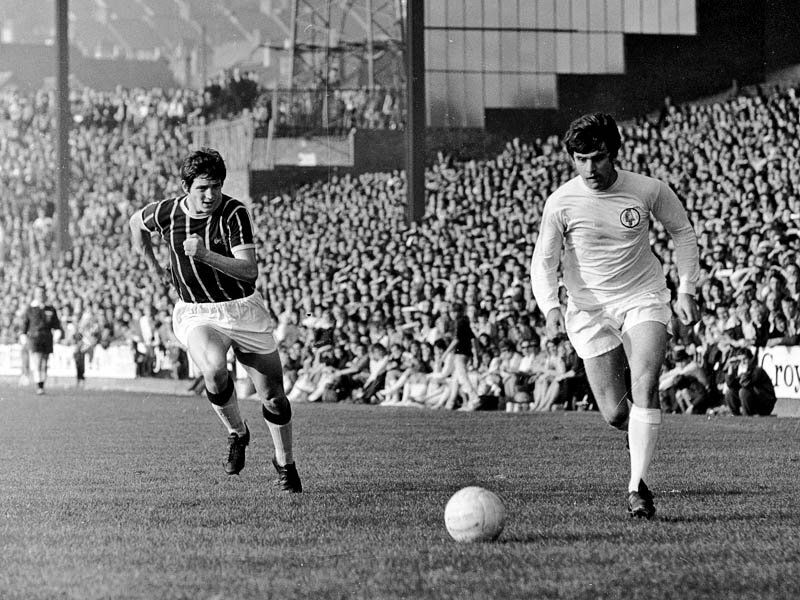 But as fans complained the club stubbornly defended the policy with the aid of former hero Peter Lorimer. It’s almost like Lorimer is being used as a non-threatening front for the contentious matters affecting our club. Someone we’re familiar with, who we respect and trust. And it used to work. But it’s reached a stage now where he’s repeated one too many of the chairman’s lines. Telepathy would struggle to account for the divine synchronisation of these two’s minds. Lorimer no longer comes across as a free-thinking individual representing the fans best interests on the board, but one more concerned with his wage-slip who is fearful of repercussions should he stray off script. Anyone who is successful at any company does it to some extent I suppose. We all toe the company line, citing company policies to deal with issues and protocols to make decisions. But when you have a fans representative on the board you expect him to act more as a union rep than an executive. But as was the case once again when Peter Lorimer dismissed protests against Ken Bates as ‘knee-jerk’ following a slow start to the season, the club legend seems to care more about towing the line than representing the fans these days. I suspect Lorimer knew the protests were about much more than defeat to Saints and a few failed transfer attempts, but any acknowledgement of the deeper, underlying issues would open an entirely new can of worms that would no doubt anger Mr Chairman. I’ve always been happy to have Peter Lorimer on the board. I always felt he was a safe pair of hands who cared more about the club’s future than the money-grabbing chairmen who pass through. But with every statement of his I read in the Yorkshire Evening Post or on the OS, the more faith I lose.